People said to me years ago, “You will break your constitution down with preaching ten times a week,” and the like. Well, if I have done so, I am glad of it. I would do the same again. If I had fifty constitutions I would rejoice to break them down in the service of the Lord Jesus Christ. Charles Haddon Spurgeon was born in Essex, England, on June 19, 1834, and after forty-one years as a preacher in London, died January 31, 1892. Spurgeon came to faith in Christ at age fifteen. He preached his first sermon at sixteen and began his work as a full-time pastor at seventeen. Then, starting at age nineteen, he became pastor of London’s New Park Street Chapel. By age twenty he was preaching to crowds of up to two thousand. The biblical depth and theological insight of the messages Spurgeon wrote and preached at that age seem almost unbelievable, yet for one and a half centuries, his words have stood the test of time. Later, upon completion of the much larger Metropolitan Tabernacle, he preached to crowds of six thousand. No matter where Spurgeon spoke, nearly every seat was filled. When he spoke at the Crystal Palace, the exact size of the crowd was counted by turnstile: 23,654. And all this was happening at a time when there were no microphones and no public address systems! 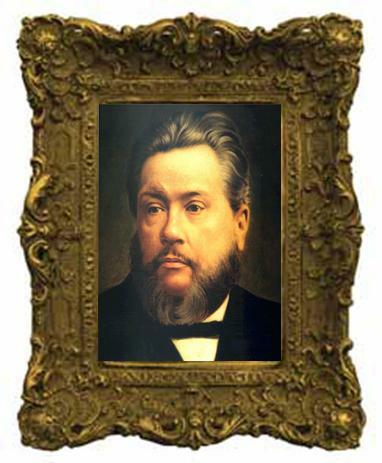 Imagine the toll it took upon Spurgeon to project his voice so the crowds could hear him, especially later in life when he was frequently very ill.
During his lifetime, Spurgeon founded and maintained sixty-five different institutions, including orphanages, social welfare services, mission groups, and homes for unwed mothers. He also established organizations for distributing literature. He sent people door-to-door to distribute Bibles, Christian books, magazines, and tracts—mostly ones he’d written. Spurgeon preached to perhaps 10 million people in his lifetime. He wrote out his sermons fully before preaching but brought into the pulpit only a note card with an outline. As he spoke, stenographers would take down the sermon as it was delivered. Spurgeon then had one day to revise the transcripts before they were sent off for publication. In those times of telegraph, his messages became available across the Atlantic, in America, within two days and around the world within a week. Spurgeon’s 3,561 sermons are bound in sixty-three volumes. In addition to his sermons, he wrote many books, including the classic devotionals Morning by Morning and Evening by Evening (best known in their combined form, Morning and Evening). In the span of six years alone, from the time Spurgeon was twenty-one until he was twenty-seven, his books sold over 6 million copies. It’s possible that even today no author, Christian or otherwise, has as much material in print as Charles Haddon Spurgeon. His preaching and writing affected his world far and wide while he lived and continue to do so even today. His sermons have been printed in Chinese, Japanese, Russian, Arabic, and many other languages. Today, some 120 years after his death, Spurgeon’s works are still read and studied and preached on by Christians of various backgrounds and denominations. Spurgeon took great pains to conform his preaching to God’s Word, and he did so in the face of severe criticism. We need to hear Spurgeon’s voice because he was faithful to speak God’s Word, and today there aren’t nearly enough voices like his. This biography is excerpted from Randy’s new book We Shall See God: Charles Spurgeon’s Classic Devotional Thoughts on Heaven. Many people view Heaven as an uncertain gamble, spending their lives wondering if they will arrive at their desired destination. But it doesn’t have to be this way. Through Christ, we can be assured of eternal life! “Grow in grace”—not in one grace only, but in all grace. Grow in that root-grace, faith. Believe the promises more firmly than you have done. “Husbands, love your wives, even as Christ also loved the church.” — Ephesians 5:25 What a golden example Christ gives to His disciples! It has been said that “the proper study of mankind is man.” I believe it is equally true that the proper study of God’s elect is God; the proper study of a Christian is the Godhead. Our days are few, and are far better spent in doing good, than in disputing over matters which are, at best, of minor importance.